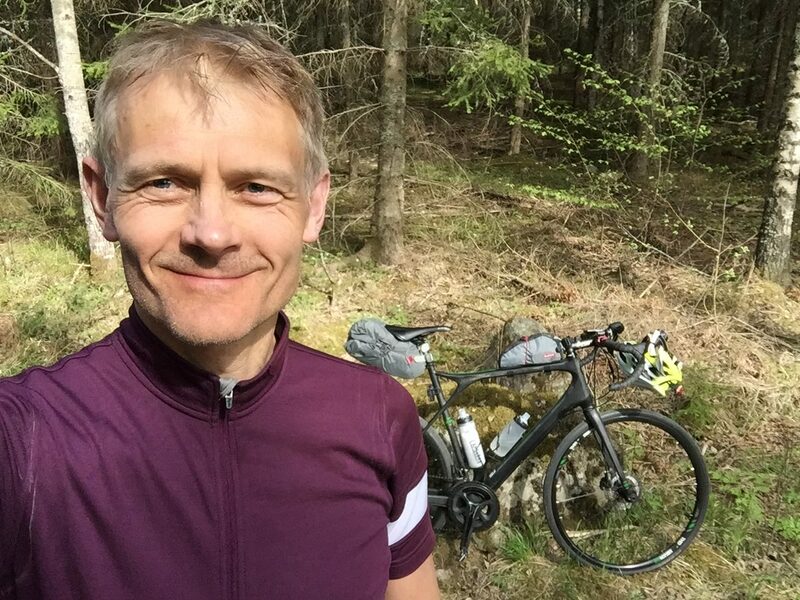 Uppsala University’s Zennström Professor in Climate Change Leadership, Kevin Anderson, is out on a two-wheeled journey across Sweden to help raise awareness and catalyse local action on climate change. Kevin is holding public lectures and meeting citizens as well as local and regional governments to discuss how bottom-up measures might foster change at the national and international level. Read the press-release from Uppsala University here. The journey began on June 15 and will last for a little over two weeks. It takes Kevin through Skåne and the west coast (week 1) and from Norrland to Stockholm (week 2). The tour comes to an end in Gotland where Kevin will present his reflections on the journey and what this means for Sweden in an election year at the Almedalsveckan events in Visby. For a more detailed schedule see the Swedish Carbon Cycle’s webpage here. The journey is part of a bigger project on climate change leadership at CEMUS focusing on the role carbon budgets can play in reducing our emissions. See more here.